When people first start prepping, they usually make a few mistakes. I know I did. Sometimes it’s because they get caught up in the idea of prepping and rush into it without taking time to plan and really consider what they’re preparing for. Other times it is simply because they don’t have enough information. If only I had known then what I know now. Don’t waste your time, money and energy by repeating the same mistakes that I and so many others have already made. 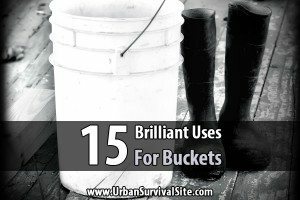 Instead, read this list of prepper tips I wish I’d heard before I started prepping. You don’t want to just buy all your food and supplies with a credit card. Instead, look for ways to lower your bills until you have some money left over for preps. Prepping is something that should be done slowly and steadily. Oftentimes there are survival items you think you need, then later you find out there’s a better deal somewhere or that you already own a suitable substitute. So try to be patient. Water is technically more important than food, and you’re going to go through it faster than you think. You don’t have to just buy bottled water. You can collect your own water and store it in collapsible containers or barrels for long periods of time in your garage or basement. It is so tempting and it seems like a good idea at the time, but it will end in disaster. It’s hard to wash out all the milk residue which means you could end up with harmful bacteria growing in you water. Also, the plastic is not hardy and will eventually break down, creating a big mess. Finding a great deal on a case of canned spinach may seem like a great way to fill the shelves in your pantry, but if your family refuses to eat it, you will have wasted time, money, and space. It’s nice to find a great deal, but if it doesn’t fit your family, pass on it and wait for the next one. There is this idea that a food pantry must be loaded with canned foods and nothing else. You need to have a variety of canned, dry, and freeze-dried foods in order to diversify your diet. Otherwise you will get bored with canned food, and all that extra sodium will be bad for your health. Those flimsy, particle board shelves may be inexpensive, but they will not hold up long when you start piling bags of beans and cases of canned goods on them. Your best option would be wire shelving. It is sturdy and can tolerate more weight. You never know when disaster will strike. Your entire food storage could be wiped out in the blink of an eye. 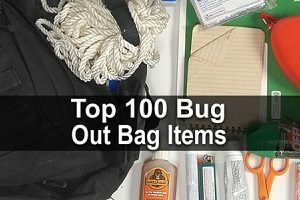 Place some caches around the area where you live, keep a bug out bag in every vehicle, and if possible, keep some supplies at your bug out location. It takes knowledge and skill as well. Here are 20 skills you might need. For each of these, you need to get training and hands-on experience. Have a nice library of reference materials stashed away as well. Stocking up on toilet paper and soap is just as important as stocking up on food and water. You have to stay clean in order to avoid becoming sick. Getting sick during a survival situation–when hospitals are either closed or overrun–could end up killing you. Some people might need insulin, glasses, medication, oxygen, wheelchairs, etc. Make the necessary preparations for them as well. If you have pets, you have two choices: plan on feeding and caring for them, or abandon them. If you care about your pets, be sure to store pet food, water, and other supplies for them. Make the decision about what you will do with your pets today and don’t wait until the heat of the moment when your emotions are already running high. Your entire family needs to be on board. They don’t have to be as excited as you, but they do need to have the knowledge and know how. Make sure you incorporate them into your prepping as much as possible. You don’t want to advertise what you have. If and when disaster strikes, you will have a line of people at your door, and you won’t be able to help them all. So keep your plans within the family and a select group of trusted individuals. 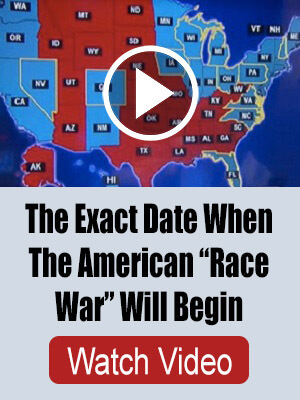 Many preppers are going to find themselves completely exhausted after just one day of disaster. Hiking from place to place, carrying supplies back and forth, repairing damaged roofs or windows, etc. All if it will wear you out fast if you’re not in shape. It’s easier to get in shape than you think. A half hour of power walking a day will make a huge difference. I’m not saying you shouldn’t have guns for self-defense, but you want to do your best to avoid confrontation. Learn how to be stealthy and avoid drawing attention to yourself. Your guns cannot protect you from being shot by others who have guns. Many people forget that disasters don’t wait for you to get home. They can also happen when you’re at work, school, or elsewhere. Do you have a plan for getting home, or a place to meet with the rest of your family? Some people just assume they’ll have to bug out, while others assume they’ll be able to bug in. But you don’t know what’s going to happen. You have to have a plan A and a plan B. 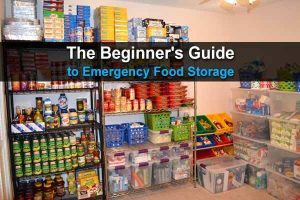 Every prepper needs a backup plan to their backup plan. Some DIY projects are so big and complicated and require so much education beforehand that you really have to be patient. If you try to get it all done in just a few days, you’re going to get frustrated and burned out. Remember, lots of baby steps will quickly add up to a very long way. Yes, technically it could be, but odds are it isn’t. And if you always think it is, then you’re liable to panic and make bad decisions. Be prepared, but enjoy all that life has to offer. Don’t become so focused on prepping for doomsday that you forget to enjoy what you have today. And keep in mind that doomsday might never happen. Nice article with very good tips! Thanks! It’s refreshing to hear well thought-out conversations on prepping. Pace yourself but prepare and plan according to your situation. Very good advise. Nice article, if you want to store anything with flour in it, freeze it for 72 hours. This will kill the little bugs you find in old flour and will last for about 5 years. To what ever happens, Myself and My Wife will stay put. We are to old to go off to the woods. We live in a rural area, with lot of land around and very few people. I`m staying put and fight for our lives if we have to. so with GODS Blessing we will be OK.
William, me and my husband are in our late 50’s, and we live in a rural area too, with lots of trees, with few people around. I, myself have read many survival books, (audio too), and websites, and have signed up for so many survival website newsletters, it’s ridiculous! Anyway, I’ve learned very much from them, over the many years, and if I haven’t learned anything, I’ve at least learned that you need other people, a small community to survive. I would love to talk more to you and your wife about your plans, and other things pertaining to survival, and about our religion. Would you mind chatting with me, about them? I’m joanofark06 (zero six) on a website (short registration), called wireclub dot com. Just put my name in the search for people. I’d love to hear more about your views on this subject. One thing that wasn’t mentioned in this article, is bows and arrows. When you need to be quiet, this would be a great tool. Otherwise, your gun will bring everybody to you, because of the noise! #21 is perhaps the most important and I don’t think I’ve ever seen anyone include it before. I know people who subsist entirely on dehydrated and canned food so they’ll be ‘used to eating that way’. This makes no sense to me. Enjoy fresh, healthy food while it’s available. This will keep you in better health and more prepared to handle something unexpected. Also, plan for what to do after the storage runs out. Keep a garden now, consider keeping backyard chickens, etc.. work towards learning to make your own cheese, jerky and bread. Ever heard of periods at the end of a sentence?? Gee, I can’t even read your post. Really JJ?? We don’t need critics. Are you insane? That’s EXACTLY what guns do. Shoot the guy with a gun before he shoots you…you just protected yourself with a gun. 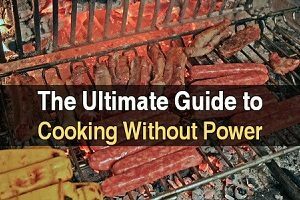 Great post,,, I especially like the tip about not storing food you don’t eat, who wants to be in a survival situation and have to eat food they hate… Things will be bad enough… And what about MRE’s or Dehydrated Foods that we have not tried, I got several dehydrated meals that when I tried them one of the meals was so spicy I would die trying to eat it… Taste before you invest in a stockpile of foods. I use to keep about a six month supply of food, and other supplies. It came in handy when friends lost their job, and came knocking. It was nice to be able to bless them, with my supplies. Hoping that some day I will be in a financial position, to be able to have food stores and medical supplies. At least enough to feed my family, for a few months. Good to have goals, better to have supplies, and funds to purchase them. Several years ago, I started canning my own meat….beef, chicken, pork. Lots of different flavors! Also, canning my own soups. From those meats, I have collected sides to go with them from different recipes. There will be no eating boredom in my house!! just remember to rotate your canned meats. They don’t last as long as fruits and veggies. For all you canners out there, you can can beans as well. Because beans take a 12 hour soak before you can start cooking, they are not a quick solution to a meal. If you can them (it takes a pressure cooker) they are cooked and ready to heat and eat. There are excellent books on Amazon about this. There is a whole series of I can can books, like meat, beans, dairy etc. jaebea, do you have any videos online, showing how to do that? I would love to learn how to do that! I don’t have the money to buy sophisticated equipment, so I need a simple way to do it. What a great idea I didn’t know it’s not advisable to store water in a milk jug, i used to do that before but now I know. Thanks. I used to use milk jugs too, before I found out how easy they deteriorate in time. Now I use my daughter’s big juice bottles, and those two liter soda bottles…their tough, and last a long time. I don’t like knowing that the pcb’s, and whatever chemicals the plastic has, is seeping into my water, but….at least I’ll have water, if if ever goes! I’ve been using orange juice and 1 gallon white vinegar bottles for quite some time now. But I don’t store drinking water in them. I store water for bathing or flushing toilets. I have 55 gallon water barrels, 7 gallon water containers and bottled water for consumption. I bought water in gallon jugs, the $.79 Walmart ones. ALL of them leaked after a few months and damaged the area I stored them. Another tip, some foods go bad faster than you think and you may not even know it. Example; We eat lots of taco shells, so I bought several boxes. By the time we got to the the last ones, they looked completely normal but tasted GROOOSSS!! Now I Know to only keep a few boxes at a time. Excellent article! Plastic is a tricky thing. Clear hard plastic jugs like from companies like…Crystal Geyser, Alhambra etc. Are better for storing water in as far as plastic goes. The foggy white “milk Jug” style will break down fast and sadly leak in your cupboards. IF that is all you can get, I suggest storing in the garage or a place with good flooring and maybe even put into garbage bag in case.